A fun thing about the NHL All-Star break is that it allows us to hit pause on the season and jump 100% into speculation mode for a few days. There’s no hockey to dissect (at least at the NHL level) and if you’re like me (and you probably are if you’re reading this post) you have developed a keen interest in the expansion draft. The first step involved in doing that, would of course be selecting a team that is the best possible team at the minimum required salary cap hit ($43.8M) with the minimum number of NHL contracts (20). That would allow Vegas the opportunity to add up to an additional $30M worth of cap hits (approx) while acquiring worthwhile assets along the way, potentially making for a good sustainable team that would be competitive after a couple of years of heartache (coinciding with the novelty phase of being a new team). It probably goes without saying that I used CapFriendly’s Expansion Draft tool for the purpose of this exercise to see what kind of team I could build. And for the purpose of convenience, I largely relied on the quick protect option, assuming that the masses will at least be largely right (history will prove me wrong). I also didn’t bother with the requirements about games played. With just under half a season left and the trade deadline, I’m assuming compliance will be reached and Carolina wouldn’t have to leaving Justin Faulk exposed. I did however make a few other assumptions this time regarding no movement clauses being waived. Assumed Marc-Andre Fleury would waive, be traded, or potentially bought out, so might as well take Matt Murray off the table as well. Steve Yzerman is a wizard, so I’m assuming Filppula and Callahan waive their clauses and Brown and Pacquette stick around. 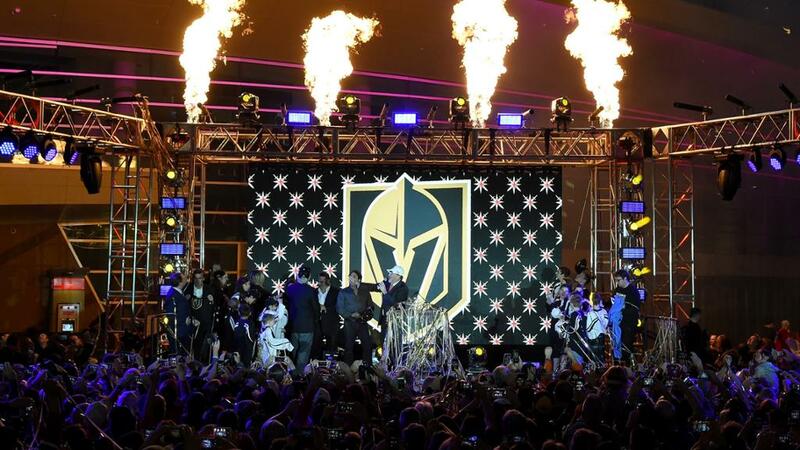 While that has made it a little harder to put together a team, I don’t doubt that teams will make it even more challenging for Vegas one the time comes. At least I feel like I’ve got something to work with while I build my cheap team. (UPDATE)The team consists of 15 forwards, 11 defense, 4 goaltenders, and meets the 20 contract minimum, and has a 2016-17 salary cap hit of $45M which exceeds the $43.8M required for compliance. So there are a few themes at play here, but looking at the list, this seems like a pretty rough group to throw on the ice for people to watch. Valeri Nichushkin (DAL) is the ultimate swing for the fences option here. He’s young, he’s probably going to be great, and even if he doesn’t want to play in Vegas his rights will be valuable. He is the best shot at landing a legitimate first line player. Mark McNeill (CHI) and Vladislav Namestnikov (TB) probably the other two players who could benefit from really a last shot on reaching their drafted potential. McNeill is likely going to be a good AHLer, but Namestnikov can probably find a home in the top six of an expansion roster. Matt Read (PHI), Jimmy Hayes (BOS), Jannik Hansen (VAN), and Andrew Cogliano (ANA) are all expiring UFAs, and at some point either over the summer or at the trade deadline the following season have the potential to bring in the futures that Vegas will need to build a talent pipeline up from scratch. Personally, I’d look on expanding the rental lineup to maximize the return at the trade deadline. Colin Wilson (NAS), Michael Ferland (CGY), Adam Lowry (WPG), and Zack Smith (OTT) are either RFAs or under contract for a couple of years or more and are likely the stability the team would need going forward. An expansion team should be listening to offers on anyone, but this is as close as you can get to a forward core group at this point. Josh Leivo (TOR), William Carrier (BUF), and Tom Kuhnhackl (PIT) are all young and cheap and capable of filling a role on an expansion team. They are also players you’re not going to sweat what happens with them. Derek MacKenzie (FLA) was also picked, I dunno. He can be good in the room or something. Jonas Brodin (MIN) is probably the biggest win of this mock expansion draft for my made up team. There is no way of not having a good player from Minnesota exposed and given the choice between Scandella and Brodin, I went with the young guy. There is a lot of this with the defensemen, and Trevor Carrick (CAR), Ryan Pulock (NYI), and Mirco Mueller (SJ) probably best define that sentiment. They are all presently 22 or under and are presently or at one time were regarded as top prospects. This is either the group that helps them get good fast, or the best trade bait Vegas has. Matt Greene (LA), Kevin Connauton (ARZ), and Mark Barberio (MTL) might not be as appealing as deadline acquisitions as the forward group, but if they are looking to take on salary over the summer these are the kind of cheap depth defensive players that other organizations wouldn’t mind taking back. Dmitri Orlov (WAS) probably falls into this category though he could just as easily be a swing for the fences guy or a rental depending on what happens with his contract. Ditto for Brandon Davidson (EDM) and Eric Gelinas (COL). All would normally be bottom pairing guys, but no one would be surprised to see any of them getting significant minutes on a new team. Ryan Sproul (DET) might be a bit old to fall into the swing for the fences group, but he’s got a good chance at regular role here or he’ll be a staple of the AHL club. This team is pretty much all about the future and relies on the fact that trading for a goaltender isn’t difficult, but developing a star goaltender can be a challenge. Oscar Dansk (CLB), Jordan Binnington (STL), and to a lesser extent, Scott Wedgewood (NJ) all have a good chance at developing into reliable NHL starters in the next couple of years. In the meantime Antii Raanta (NYR) is youngish, cheap, and is marketable as either a starter or backup capable of tackling a larger workload. It’s also worth noting at the time I’m writing this there are 20 NHL capable starters or backups available in unrestricted free agency this summer. That number will shrink, but you’d have to imagine Vegas will be an attractive option for at least two of them. Let’s start with the fact that this team doesn’t look very good, but it currently has nearly $35M in cap space. On one hand you could sign some really worthwhile free agents with that money and some will want to be in Vegas and play in warm and fun market with a lot of excitement around it, while others will be terrified that they’ll never be on a winning team again, it’s not something that shouldn’t at least be marginally considered when building a team from scratch. Detroit has approx. $5M in cap space next season, and would like to unload Jimmy Howard or a Jimmy Howard like albatross. Anaheim is also hovering around $5M of space, but with less of a need to add to their roster. I’d still have to imagine getting out from underneath the Bieksa and/or Stoner contracts would be something they’d want to do for future flexibility. Arizona would probably like to upgrade on (all-star) Mike Smith at some point, but I can’t imagine they want to keep his contract around. Flyers fans will happily remind you that Andrew MacDonald’s contract is still a thing. Tampa Bay would love a mulligan on Ryan Callahan or Valtteri Filppula and with Drouin, Johnson, and Palat all up as RFAs this summer, they urgency could not be more real. LA dangling Dustin Brown seems like a given in this situation. The Islanders have a lot they need to do in a short period of time. Moving Andrew Ladd, Casey Cizikas, or Cal Clutterbuck would be huge, but more realistically Grabovski, Kulemin, Halak or Chimera might get them close to being back on track. Matt Moulson (BUF), Dion Phaneuf (OTT), Luca Sbisa (VAN), and Brooks Orpik (WAS) are four bad contracts on teams that don’t necessarily need the space, but probably don’t want to pay these guys anymore. Personally, I think the case for trading for a goaltender after drafting the best prospects seems like a no brainer to start. It also doesn’t seem too difficult to find a minute eating defenseman (of questionable skill level), though forwards still seem to be in short supply (hopefully their first round pick is NHL ready and they aren’t stupid enough to draft a defenseman). The interesting thing about the Golden Knights situation is that they also only have $12.7M committed to the salary cap for the 2018-19 season, potentially giving them back another $20M to repeat this process again the following year. While I’m sure the temptation is there to immediately attach a face to the franchise, or assemble a team that at least shows well (while still missing the playoffs), going with a long term vision from day one puts the franchise the right track. They’ll easily pick up three solid lottery picks in the draft over the next three years, but this approach will accelerate the youth movement which has to be the biggest challenge for an expansion team and there’s no reason to believe that new team novelty shouldn’t be able to sustain them financially in the short term, especially with season tickets already being purchased as a condition of being awarded the franchise.